Reporting to the Program Manager, the Project Officer will be responsible for overseeing project implementation and relationship management with the local partner in the regions of Mara and Morogoro. He/she will support the delivery of play-based training and support and liaise with key stakeholders. He / She is expected to coordinate activities with local partners and work closely with the field facilitators as required. 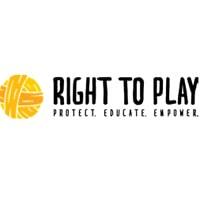 The Project Officer will be based in Mugumu Serengeti with up to 30% of time travelling to Right to play project areas in Morogoro and Mara. • Conducts performance appraisals for all direct reports and provides regular feedback on performance. • Oversees performance of any contract staff such as security guards where applicable. • Ensures staff understands and complies with policies of RTP. • Assesses training needs of all direct reports with input from project staff, partners and stakeholders. • Oversees training of coaches delivered by Field Facilitators and observes coaches’ performance for certification. • Shares activity plans with local NGOs, CBOs (community-based organizations) and looks for synergies and opportunities to work together. Conducts an assessment survey to determine the NGOs that RTP could partner with and initiates partnerships. • Ensures implementation of Memorandum of Understanding (MoUs) and agreements with local representation of Government and partner organizations. • Facilitates collaboration and networking with other organizations, government and other relevant institutions to enhance RTP visibility and project activities and Coordinates planning meetings with partners and represents RTP in various platforms. • Visits project locations to oversee activities, events and collects information to report on performance outcomes. • Works with school directors and teachers to develop their understanding of RTP’s monitoring and evaluation system as it relates to reporting on children and teachers actively involved in sport and play activities. • Ensures accurate collection and timely submission of quantitative and quantitative monitoring information according to RTP monitoring tools. • Submits regularly reports to PM/PO and occasionally external stakeholders including Ministries, partners and donors. • Provides quarterly updates of lessons learned and best practices to project team, stakeholders and the Program Manager. (A) EDUCATION/TRAINING/CERTIFICATION Bachelor’s degree in business administration, management, social sciences or other related discipline. (B) EXPERIENCE 3 years’ experience in project administration or community work including managing direct reports.